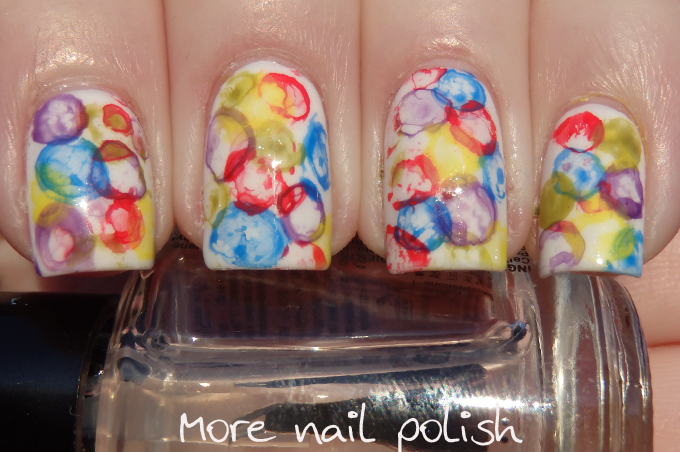 So, I tried my hand at creating those beautiful round bubbles using watered down acrylic paints. This mani did not turn out in any way that I had imagined it, but in real life it actually looked very striking and bold. 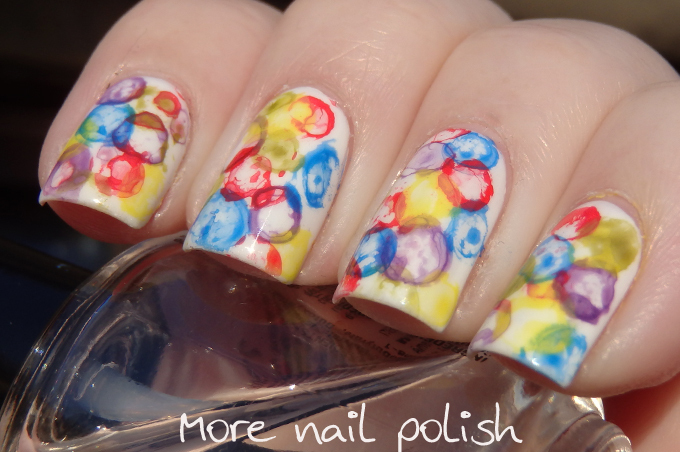 Close up nail photos however doing nothing for it! 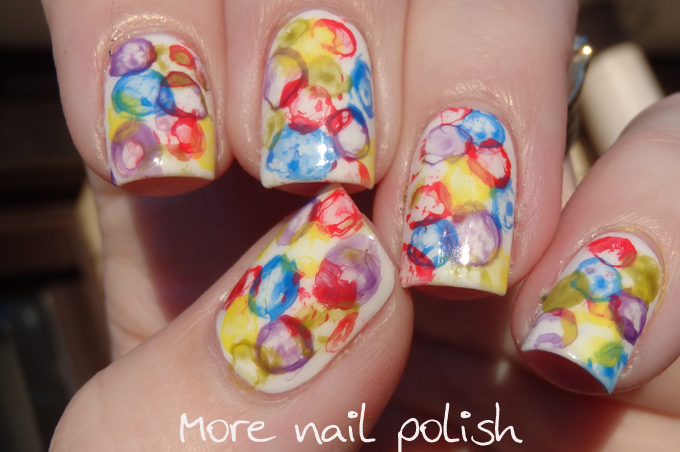 I tried to follow the bubble nail art tutorial by OhMyGoshPolish on Instagram. Those 15 seconds was all I thought I needed! HA! *in a perfect Edna Krabappel voice* Since creating this mani I discovered where I went wrong by watching her YouTube video on the same mani. I didn't put a matte top coat down on my white base! This meant that by circles of each bubble just kept sliding away and wouldn't actually stay as bubble. Oh well, lesson learned! 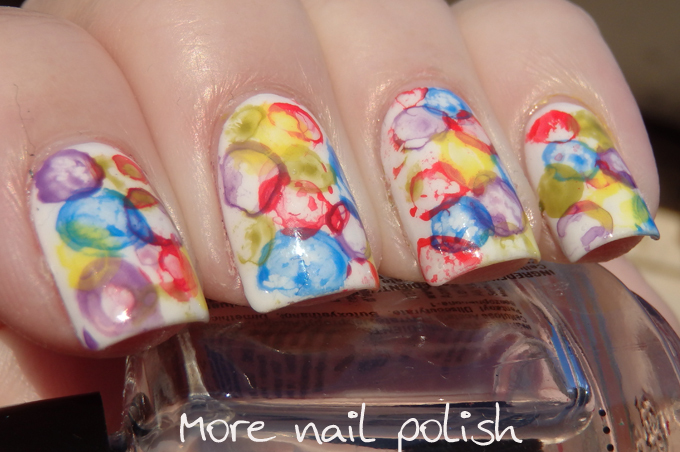 I definitely want to try this again with a matte top coat down, cause this effort looks more like a circular splatter mani. It still looks fab! I saw that tut and immediately wanted to try it too....but I don't have the paints. I wonder if it will work with nail polish?